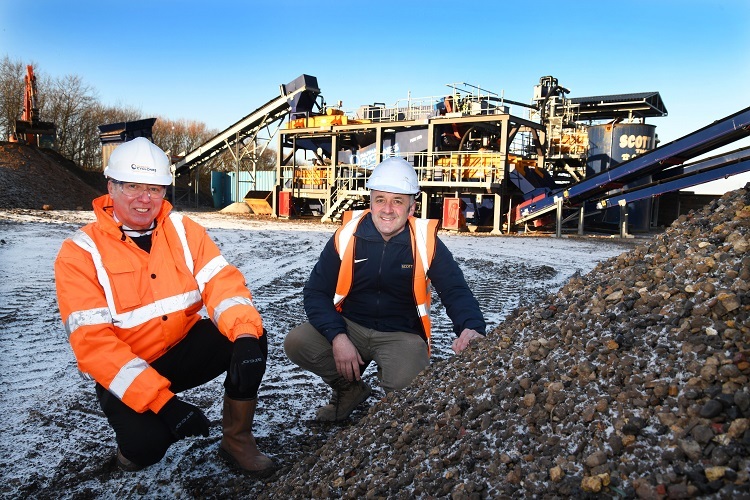 RECYCLING experts Scott Bros. has invested £1million in a new and environmentally-sustainable ‘urban quarry’. The recycled products are not only cost effective for customers, but reduce the amount of environmental damage involved in the quarrying and production of primary materials. The wash plant, which is in modular form and easily relocated, was designed, supplied and installed by family-run firm Parnaby Cyclones, based near Ferryhill, County Durham. It supplies equipment to industries involved in mining, quarrying, recycling and mineral sectors across the globe. “Scott Bros. has made a significant investment because we believe this sustainable alternative will form a major part of our future business. “We have already received a great deal of interest since the wash plant was commissioned.